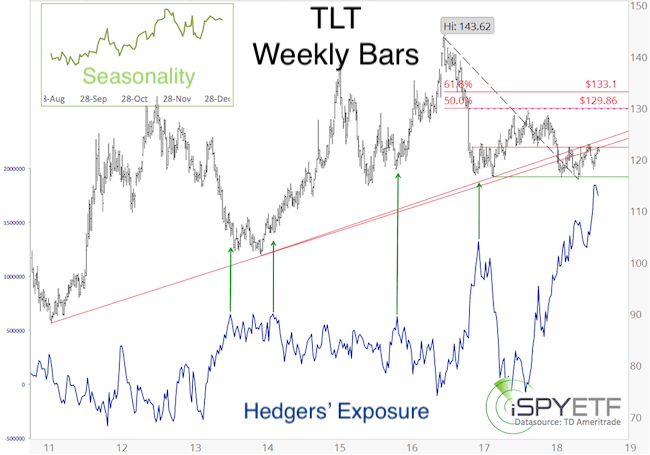 What’s Next: New Highs or Lows? 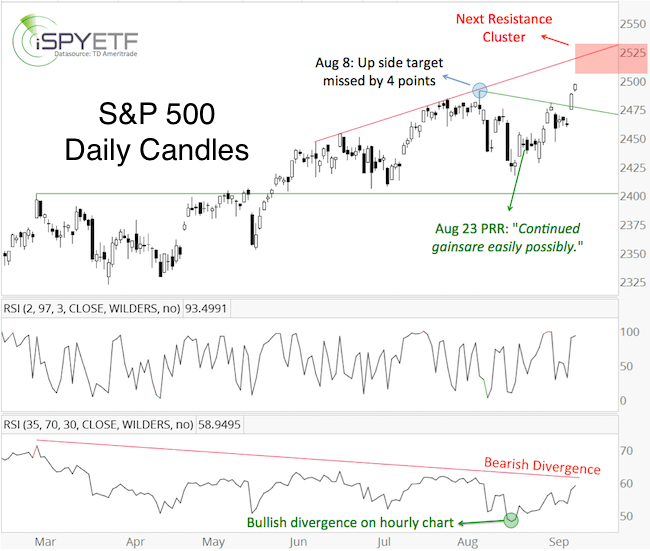 Even just a quick glance at the S&P 500 chart reveals a tug-of-war between bulls and bears, buyers and sellers. Although there’ve been many – at time violent – swings, there’s been no net progress. “What a contrast: In 2017, the S&P 500 swung more than 1% on only 10 days. That’s measured from daily high to low, not open to close. 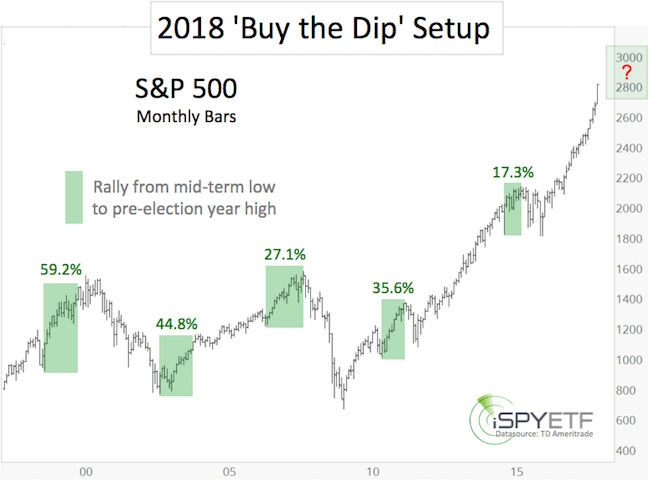 In 2018, the S&P 500 had already 41 daily swings of more than 1%. Below is a closer look at actual volatility, not the VIX. The first chart plots the S&P 500 against the daily percentage change measured from high to low (gray graph) along with a 20-day SMA of the daily percentage change (blue graph). 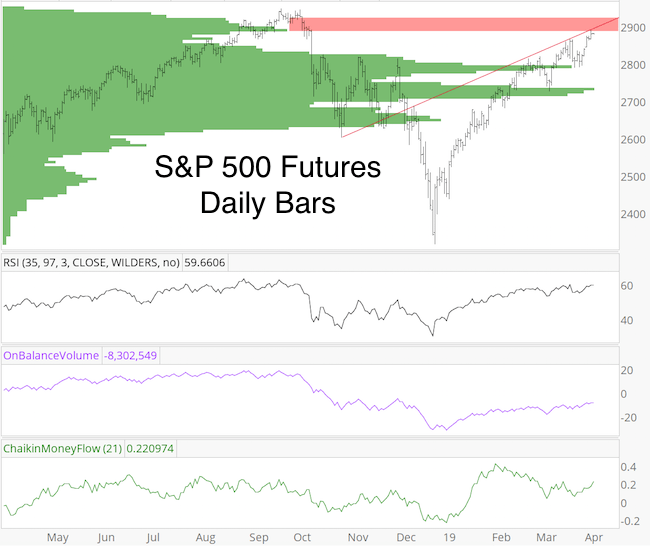 In February, the daily swing range was nearly as big as in September 2015 and January 2016, which is when stocks bottomed. Back then, volatility came and went quickly (like the shape of a ‘V’). 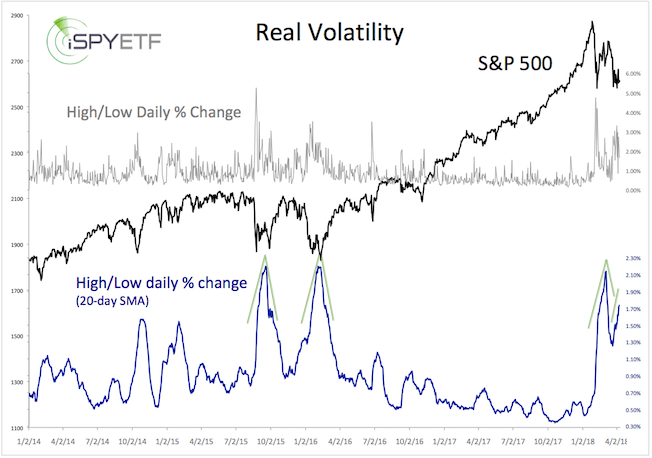 This time around, volatility is lingering longer. 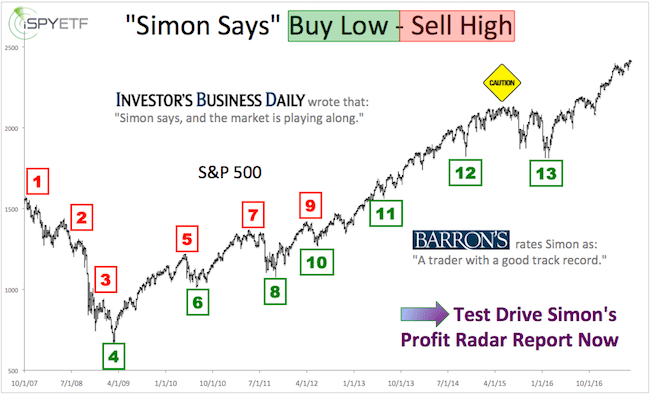 The second chart provides a long-term perspective, which includes the 1974, 1987, 2002, 2007, and 2011 market lows. 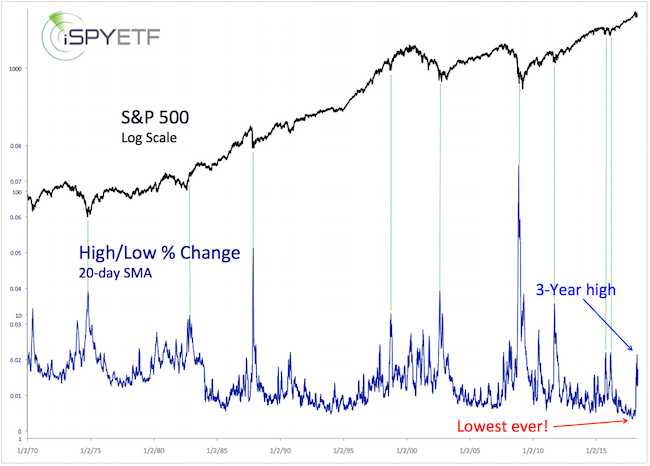 Back then, daily swings (20-day SMA) peaked around 4%, twice the current average of around 2%. 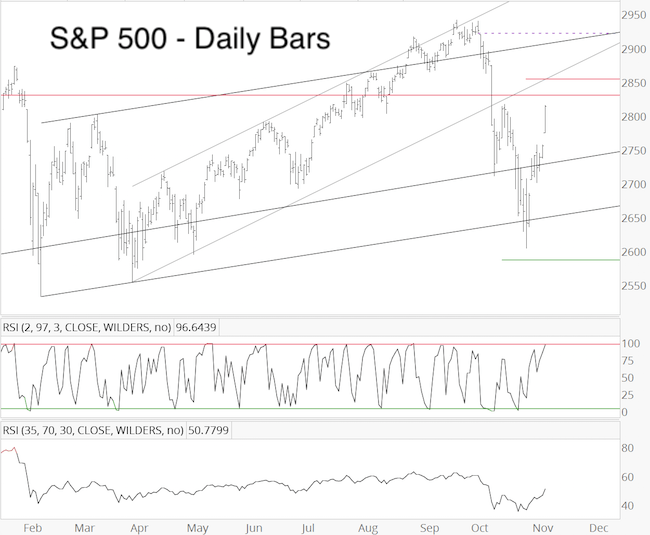 Based on positive liquidity (NYC a/d line) and the parallels to 2011, it’s unlikely that the daily swing range will double from 2% to 4% as stocks melt lower. 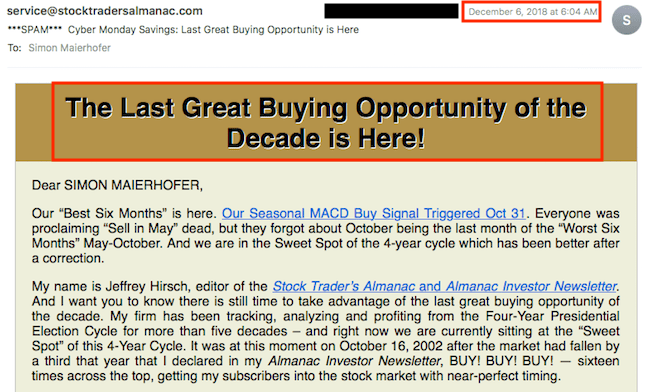 “For well over a year stocks have almost exclusively gone up, slow but steady. For the past two weeks, stocks have gone down quickly. What’s next? The temptation (and trap) is to think two dimensional – up or down – since that’s most of what we’ve experienced lately. 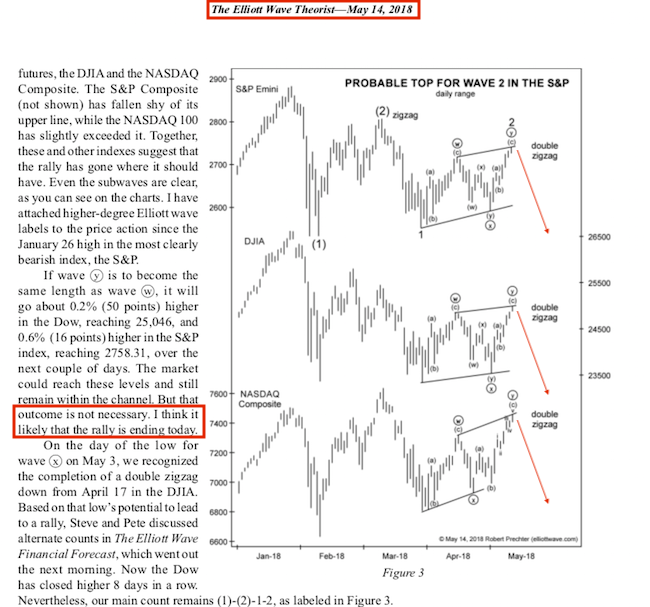 However, stocks could also go sideways for a period of time. 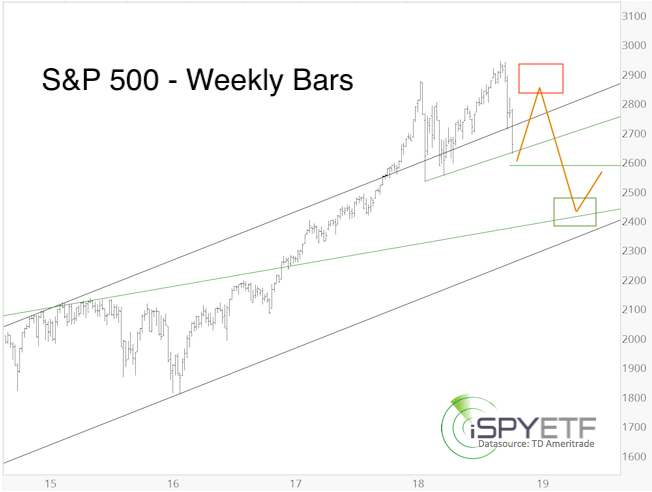 The weekly S&P 500 chart provides some long-term perspective. 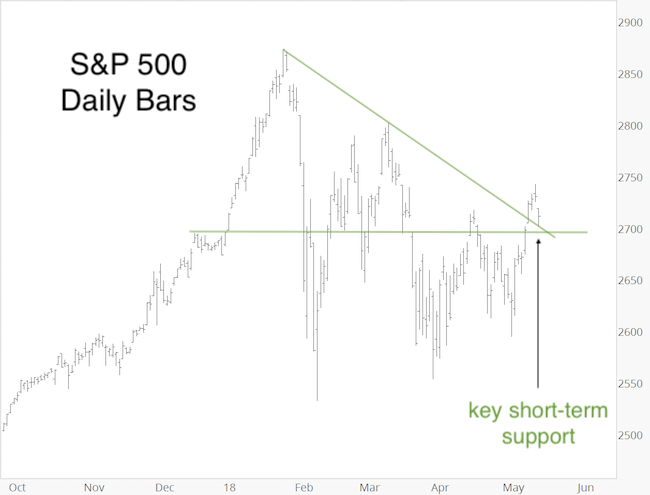 1 – 2 – 3 is how we label the rally from the February 2016 low. 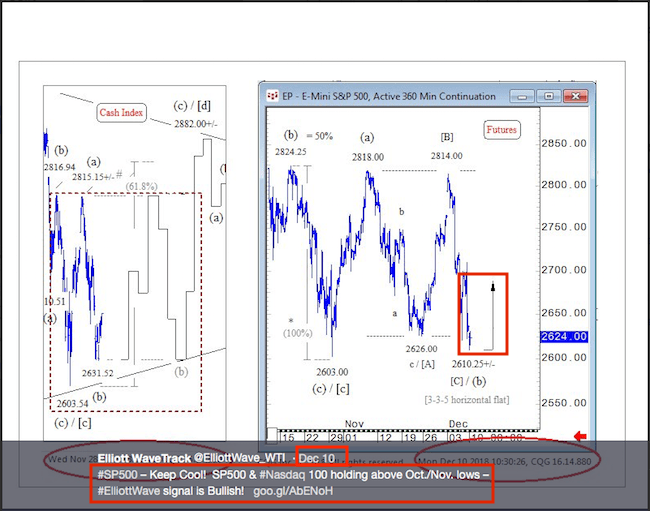 Wave 3 (wave 5 of wave 3 to be exact) extended much higher than normal. 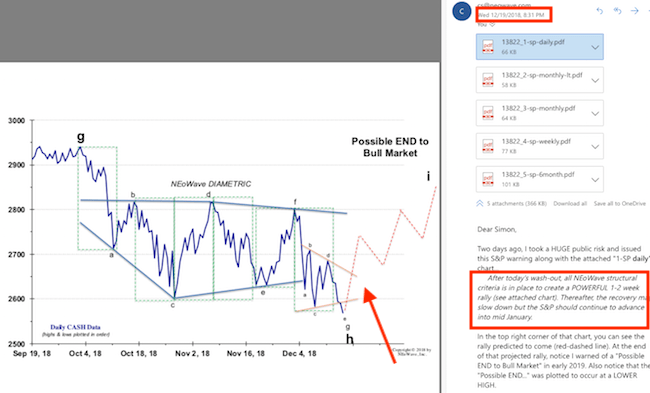 Based on EWT, wave 3 is followed by wave 4, which is where we are currently at. 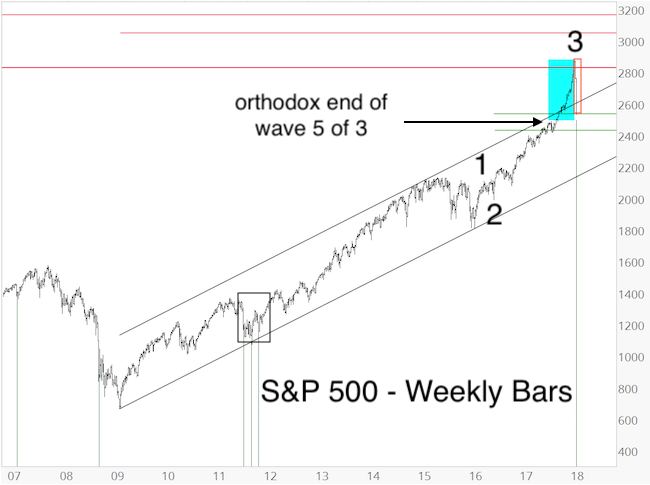 Waves 4 are generally choppy, range-bound, long-winded, unpredictable corrections that retrace ideally 38.2% of the preceding wave 3. The 38.2% Fibonacci retracement level is at 2,536 (reached on Friday). On the bullish side of the ledger, we find that the NY Composite advance/decline line (and NYC OCO a/d line) made new all time highs. This follows the bullish divergence noted in the April 4 PRR. 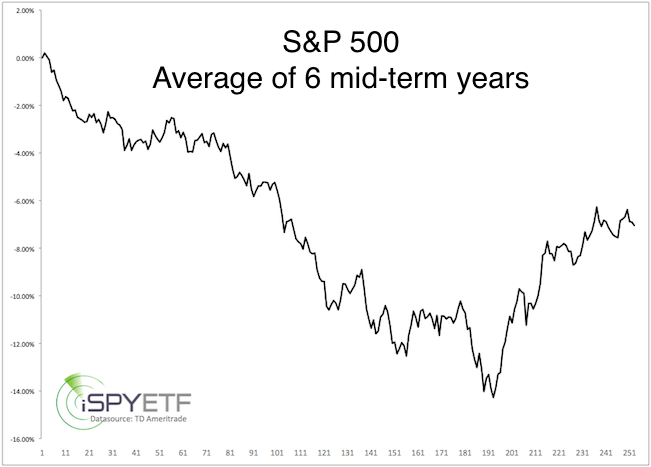 Long-term summary:The weight of evidence suggests that this correction will be temporary and followed by new all-time highs. 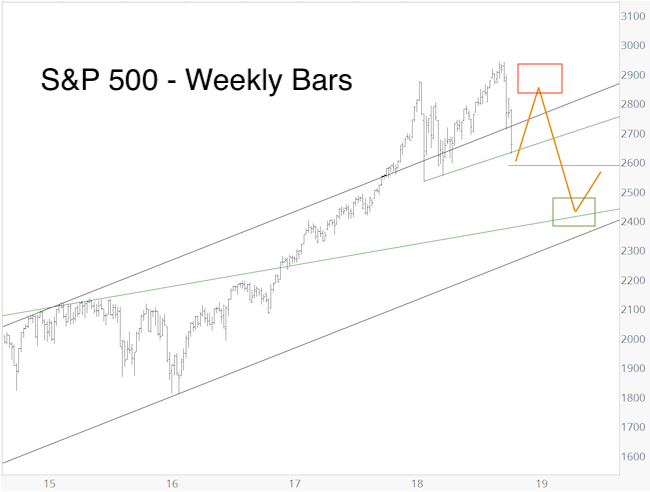 But how much longer will this correction last and how low can it go? 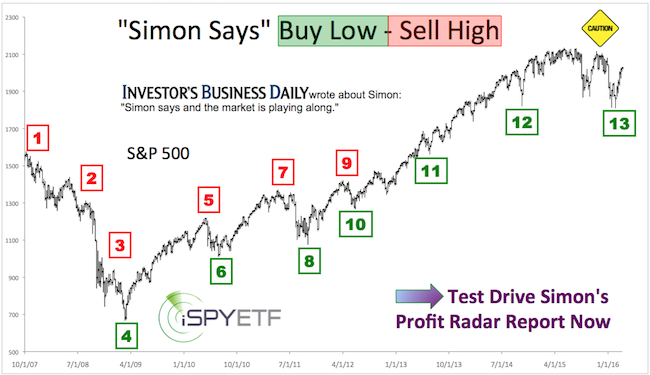 In 2011, there were multiple strong up days (where more than 80% or 90% of stocks advanced – green lines), and strong down days (where more than 90% of stocks declined – red lines). 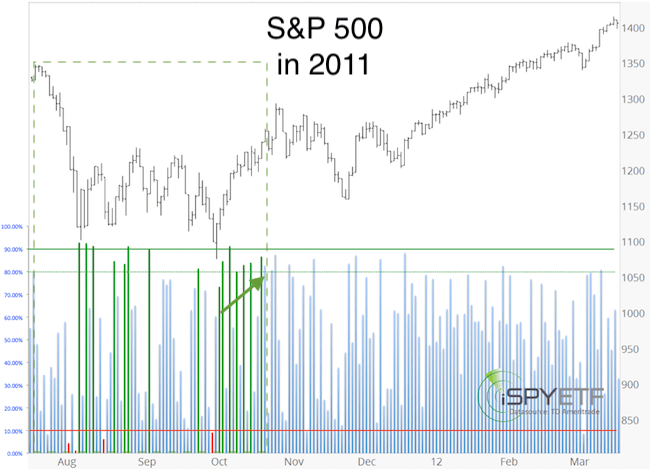 The strong down days exhausted sellers, and the strong up days indicated internal strength not yet reflected in price. 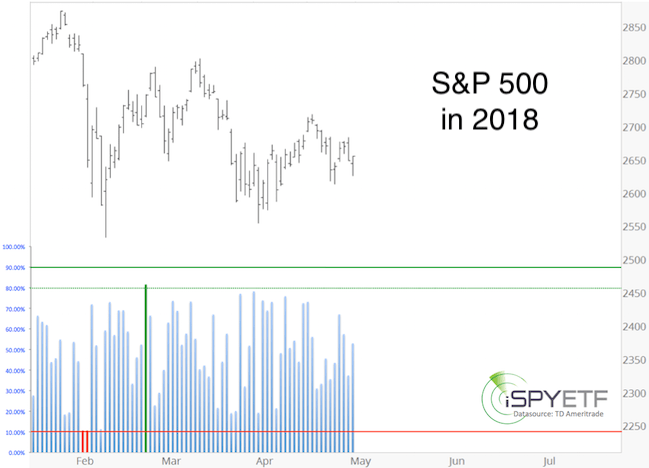 The 2018 correction is much different. There’ve been only two days that come close to be considered a 90% down day, and only one 80% up day. 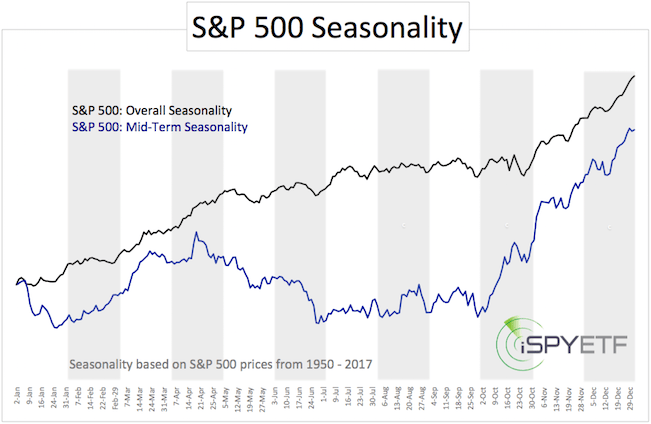 “Based on mid-term seasonality (blue graph, chart below), the S&P has a tendency to bottom between late June and late September. 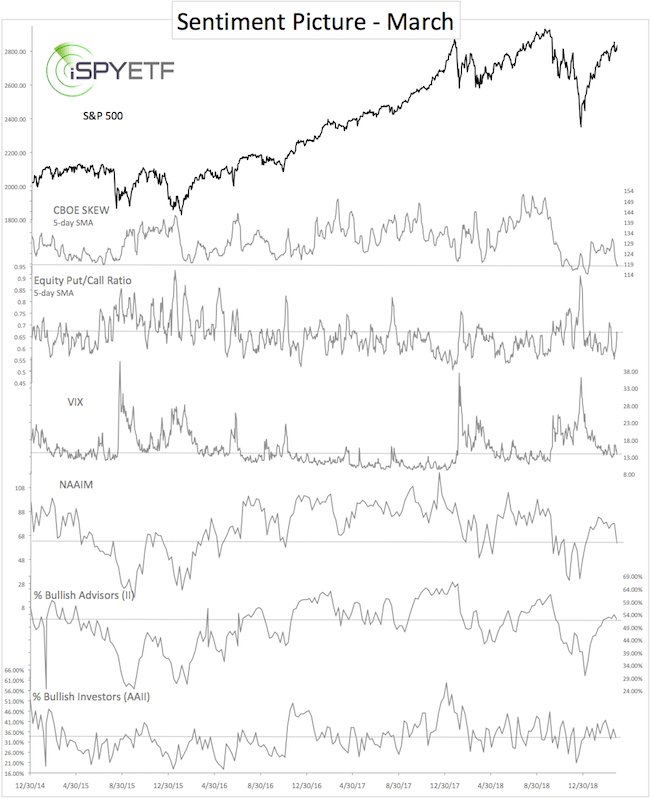 Cycles are fairly similar to seasonality at this time.